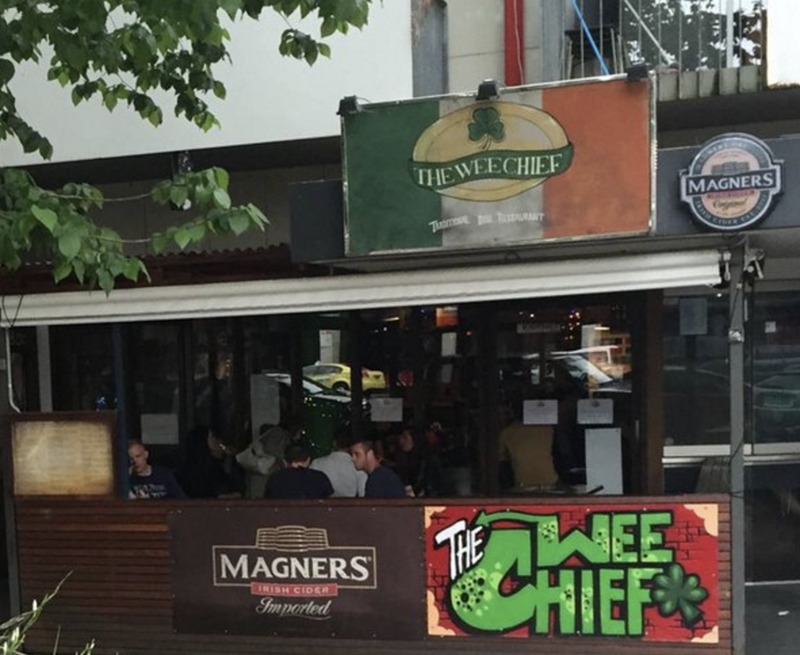 Driving down Fitzroy Street in Saint Kilda you could blink and miss the Wee Cheif. It's one of those pubs that you wouldn't know was there unless you were looking for it - Tucked away snugly between a Greek restaurant and a Dominos (directly across the road from The Prince Band Room) once inside its a very charming, and very Irish little pub. I really enjoyed the vibe of this pub. It's small, quaint and cosy, but clearly a haven for Irish expats. From the custom number plates on the walls to, well, all the other crap on the walls, you can just feel this is a pub where a lot of fun has been had, and definitely a pub a lot of people treat as a home away from home. Sold, went for the large serving for $15 with the bacon & cheese stuffing. I'm normally a purist and stick to the classic parma for review purposes, but all of my review team were also feeling like a classic parma was the way to go. Not to mention I had a hankering for some good ol' Irish curry chips - Which I was absolutely amazed weren't on the menu, so I opted for something different this week - the Irish curry parma. We made short work of the potato skins, polishing them off in minutes (we were hungry, okay? ), about ten minutes after we finished our parmas arrived from the kitchen. The schnitzel looked a bit small on the plate, but looks can be deceiving - The schnitzels had been fried in such a way that the edges curled in under themselves, giving these parmas unbelievable thickness, at times feeling more like a chicken kiev than a chicken parma - To be honest, as much as I do love a good kiev, I would've preferred a flat parma as opposed to this one, but thats a minor complaint. The chicken breast was pure, white and surprisingly juicy for a parma that had been clearly deep fried. The crumbs had a good crunch, if only slightly overdone (Jeez, I think I'm getting the black lung with all of these minor complaints. Get it? Miner complaints? ... Well I thought it was funny). To the other reviewer's surprise their Classic parma also included a heap of bacon, an element not mentioned in the menu description - I hope this is a permanent addition and not just a mistake in the kitchen as, well, who doesn't want bacon on their parma? Not to mentioned it seemed a bit unfair that the two novelty parmas got bacon for the same price as the classic which (according to the menu) didn't. I enjoyed the curry sauce more than I expected to. I mean, its about as much of a parma as a Quarter Pounder meal is a parma, but the meal was damn enjoyable. None of the parmas were tight with the toppings, from the cheese to the bacon to the curry/napoli sauce it was all applied with gusto. Now, If you have yet to read our review of Maribyrnong's Smokehouse 101 parma you might want to familiarise yourself, as I'm going to be making a lot of comparisons. It kept popping into my head while I was eating this parma "Damn this is tasty ... I don't think I can take much more of it" and it hit me that these were the exact thoughts running through my head while eating the parma at Smokehouse. Both the Irish parma at the Wee Chief and the BBQ/honey glazed bacon creation at the Smokehouse are flavoursome, but extremely rich and incredibly salty. The first few mouthfuls? Absolutely delightful. But by the end you're taking deep breaths and struggling to finish the final bite while dreaming of a cool glass of water. I looked over at the Classic parma eaters and they seemed to be going through the same process as me - Granted not to quite a degree as the Irish parma, but they all, as I did, complained that the parma was just too salty. Otherwise? Delicious, no question, but if they back off on the salt a tad I'd be able to finish my meal confident I wasn't going to need 000 on speed dial for the drive home. The chips were great - the ones floating in the pool of curry sauce at the bottom were exactly what I was hoping to get for an entree (seriously guys, put a bowl of curry chips back on the menu!) Like the parma they were a little over-salted but otherwise cooked fine and a great side to the dish. Now the salad is a bit of a tough one, Both Reviewers Stefo and Myself had a lovely and fresh, albeit a little under-dressed, side garden salad - Nothing to write home about, but fine none the less. Nikki, however, had a different experience, with her salad having (you guessed it) salt on it for some unknown reason, almost as if they forgot to salt her chips in the kitchen, so put the salt on them after the salad had also been plated. Very strange and completely killed the salad for her, especially when it was a much needed respite from an already salty parma. For $20 I'd happily pay again for the Irish parma, the ingredients were quality, there was zero skimping on the toppings and there is no way you're walking away hungry. 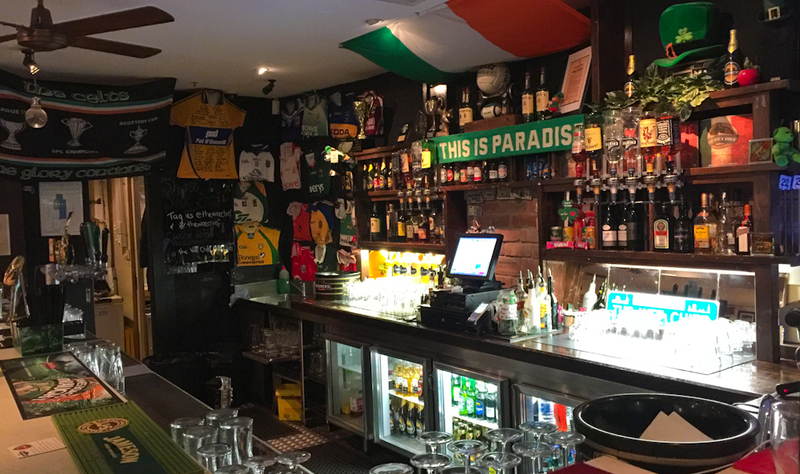 The Wee Chief also has a $12 parma Wednesday with the choice of both the Classic and Irish parmas, so if you're interested, but a bit weary about shelling out full price then this is definitely the night you should hit it on. Opinions on this parma were mixed. 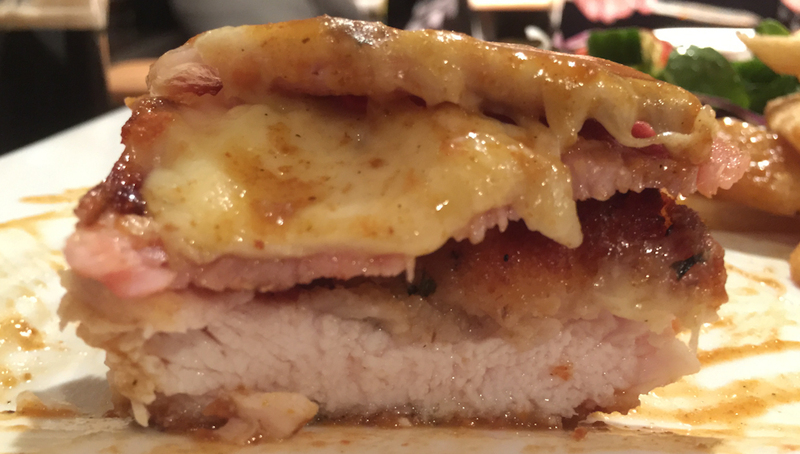 I really enjoyed the Irish parma, the curry sauce was a great addition if you're feeling like something a bit different from the norm - However the Classic parma eaters weren't as thrilled as I was. They enjoyed it, said it was "Okay", but not as enthusiastic as I clearly am about it (This is the longest parma review I've done in years ... so clearly I've got opinions! ), which is why the scores may not quite reflect how much I've been praising this bird. If you're after something different in a friendly and cool little pub then give the Irish parma at the Wee Chief try, I can't give the Classic parma my full seal of approval, but the Irish parma definitely gets it - Just make sure you don't salt it beforehand.